Decoration - An Important aspect for the functions. Beautiful decoration imbues the functions with the style and ambience you desire. We Evoke a certain atmosphere through the creativity of decoration and design including the most beautiful flowers, exquisite furniture and lighting. We do décor for marriages and all type of events. 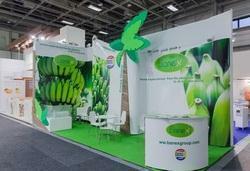 We also build decorative or stage structures suitable to any type of event. You can choose from a wide variety of décor samples and themes. Recently we are also publishing a monthly Bengali journal named "Ainee Samashar Samdhan" and already have a large circulation Our organisation is composed of several practicing advocates , law experts and dedicated persons from various walks of life all striving together for the betterment of our society. We are engaged in organizing exhibitions on both small and large scale. We understand the requirements of our clients and execute our services exhibitions organiser according to their budget and other specifications. 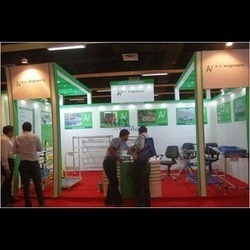 Our experienced team of professionals plan and execute every aspect of the exhibition to make it a big success. We have the best quality of fabrics, crockery, equipments & silent generators which very few caterer & decorators have. We can even provide with security guard’s, valet parking & hostesses.